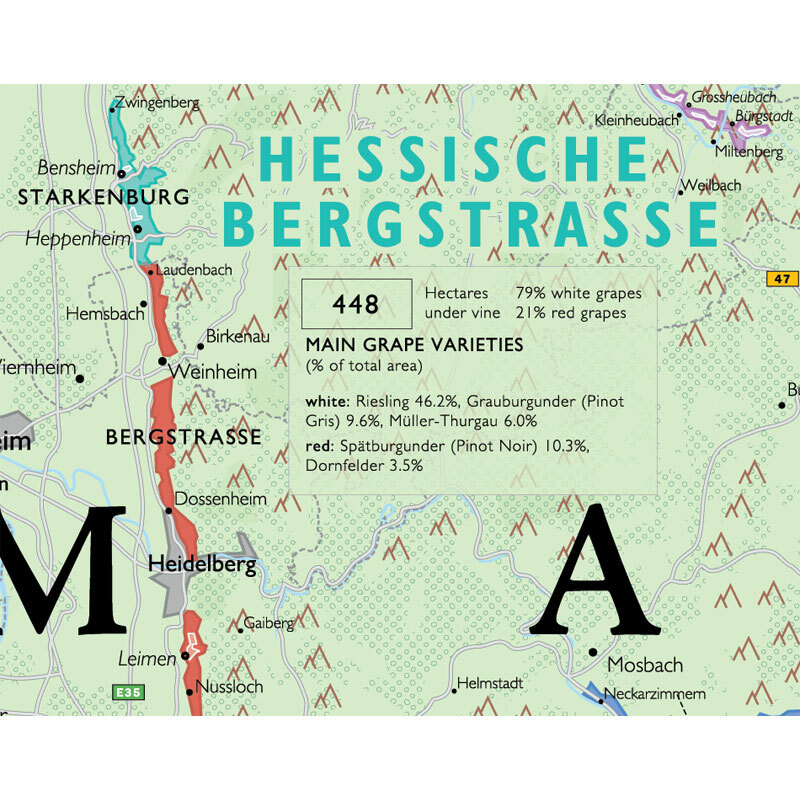 A detailed, technically accurate Wine Map of Germany. Expertly printed on heavyweight acid-free archival paper. Typically, German wine maps cover the main wine regions (Anbaugebiete) as vague areas or blobs. 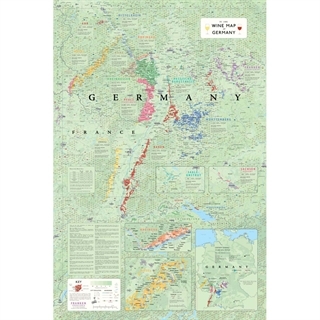 However, the De Long German wine map is highly detailed and shows all of the main regions including the top vineyard areas, top wine villages and grape varieties. 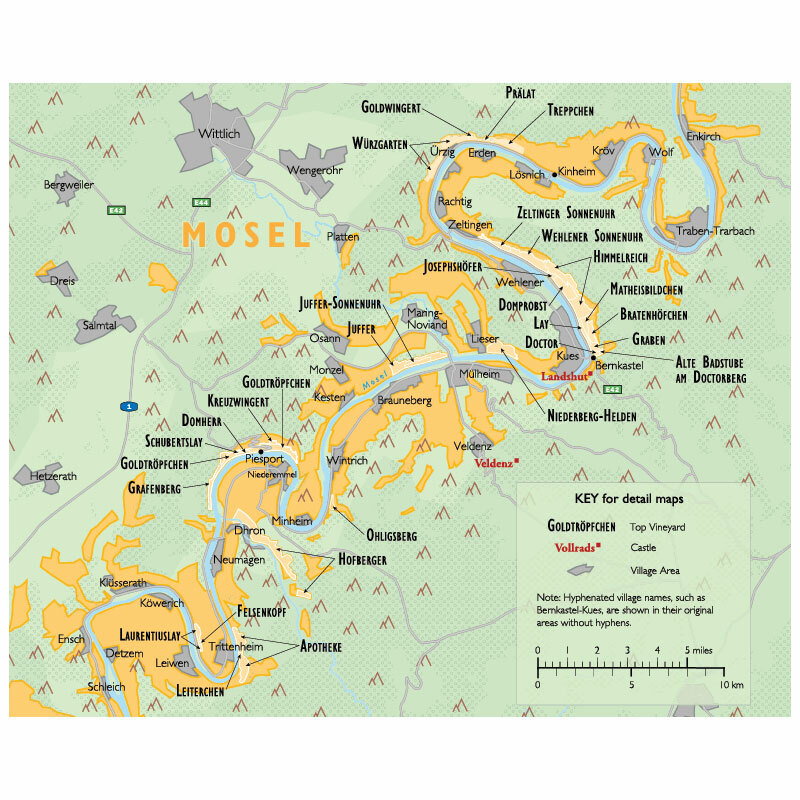 It also includes vineyard maps of both the Mosel and Rheingau regions. 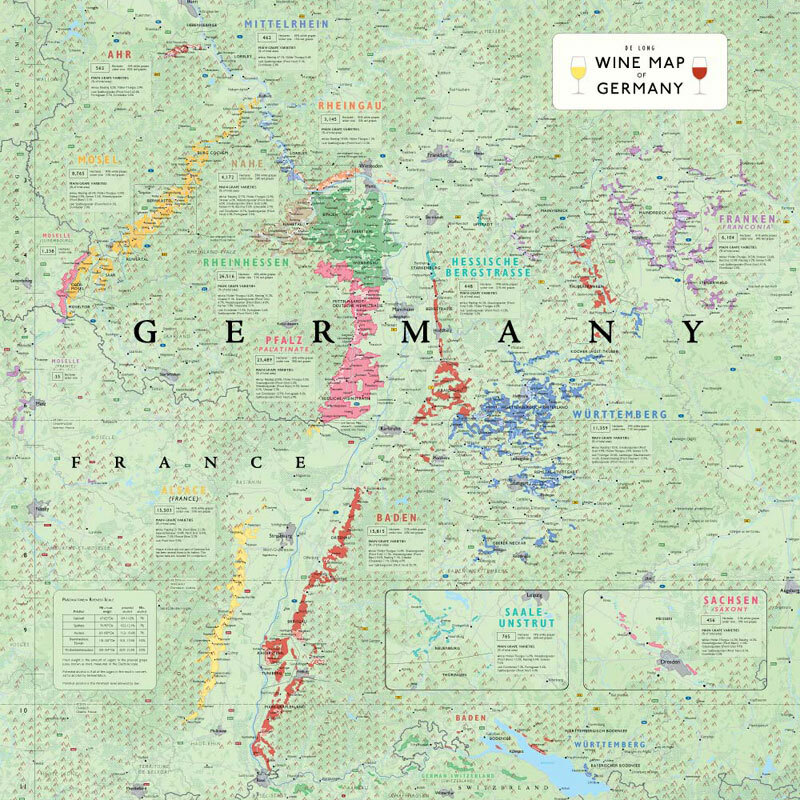 This map is a great way to come to terms with the complexities of German wine. Click here to see more about the entire De Long Wine Map Collection!